The Daily Draw for 06.20.15 – Speck the orca, a character idea I’m toying with. Pulling out the pencils again! If you’ve never listened to these orcas (killer whales) live, go over and take a listen on Orca-Live! 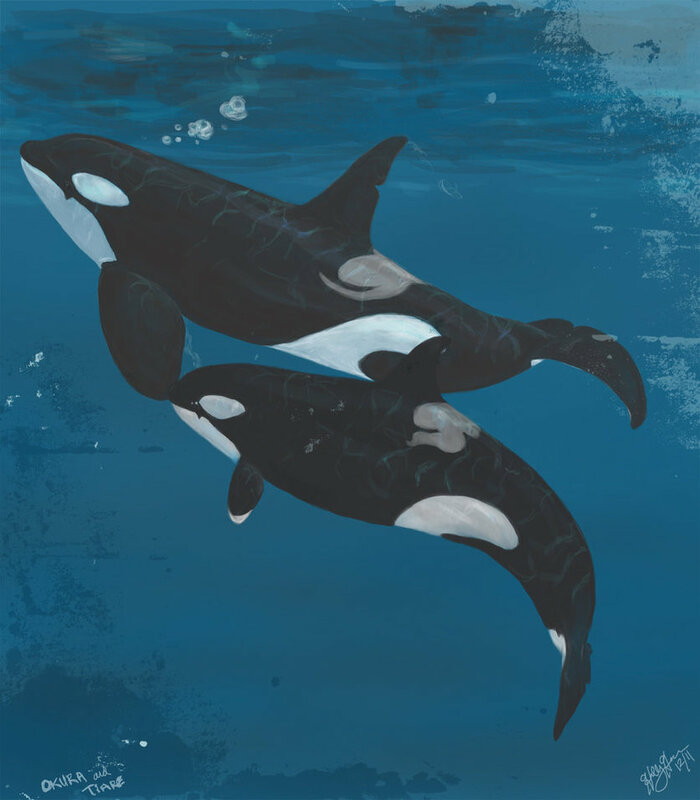 DAILY DRAW [08.16.15] – Two Orcas. Dreaming in Bubbles. The Daily Draw for 08.16.15 – I’m back!!!! Two orcas underwater, dreaming in bubbles.